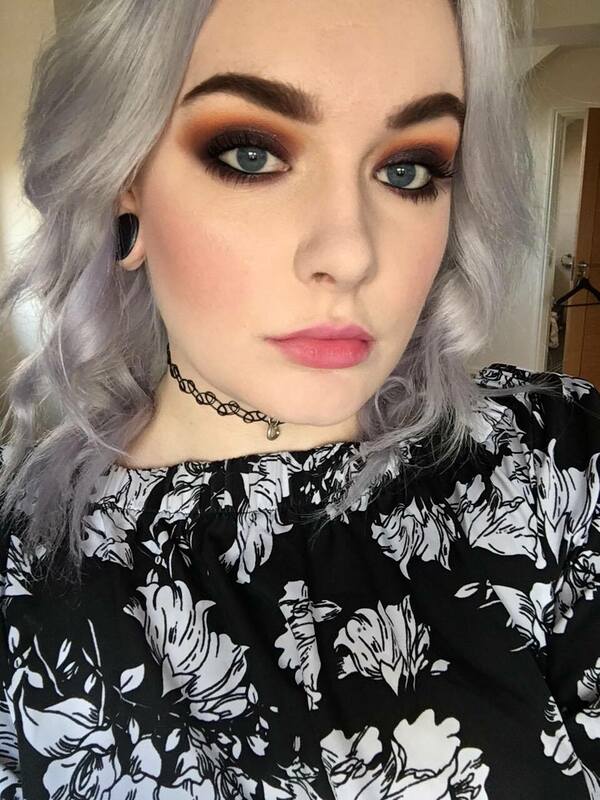 I'm sure you have all heard of Make-Up Revolution now, they are all the blogger craze with their high-end dupes and ridiculously affordable prices. 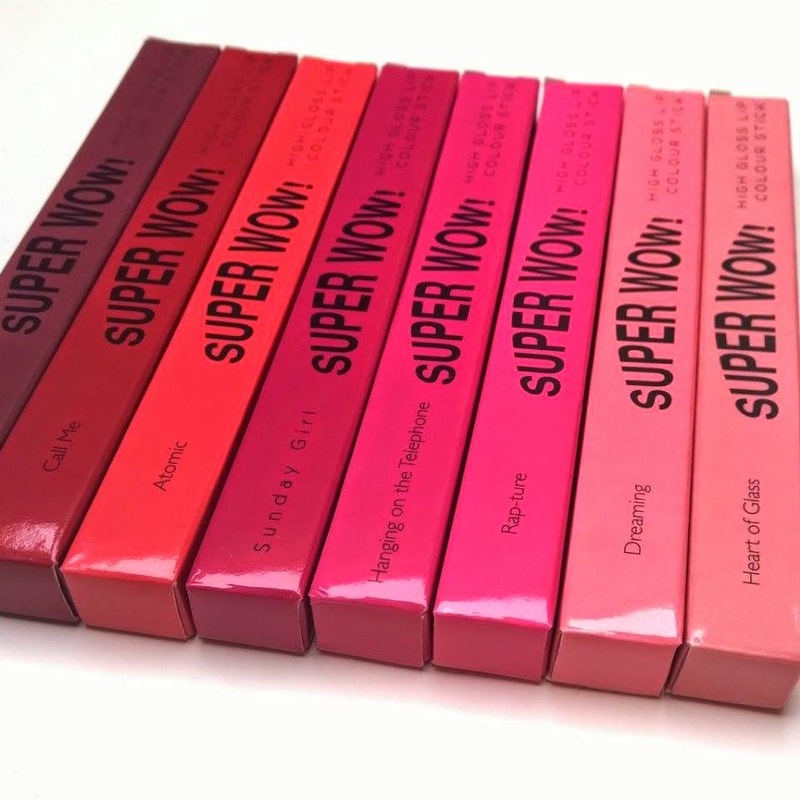 Today I will be reviewing the whole range of their Super Wow High Gloss Lip Colour Stick*. 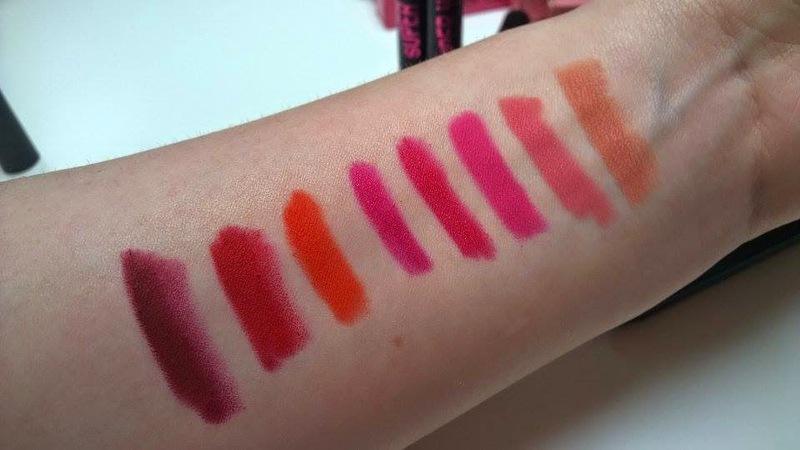 The range has eight shades ranging from nudes, to pinks, orange, red and purple. There is something for everyone in this range. Make-Up Revolution claim for the lipsticks to have a "high-gloss" but this has to be a typo because they are completely matte, which personally I prefer. They also claim to be waterproof which is actually surprisingly true. After swatching all of the lipsticks on my arm I ran my arm under the tap and the product didn't budge. I also the rubbed my fingers over the water and my arm and it still didn't move, it only started to move with a lot of force (which hurt my arm, all in the name of beauty ey haha). I find some shades can be more drying than others but nothing a little prep doesn't solve. 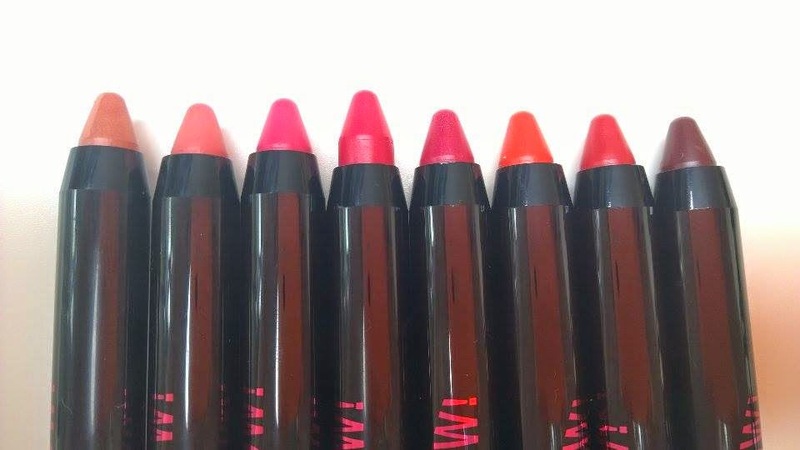 They are really long lasting and they are some of the best drug-store matte lipsticks that I have tried. I like that they are like a chunkier version of a lip liner so it allows you to create a crisp even line around the lips. Overall I'm really impressed and I don't think you can go wrong at £2.99! 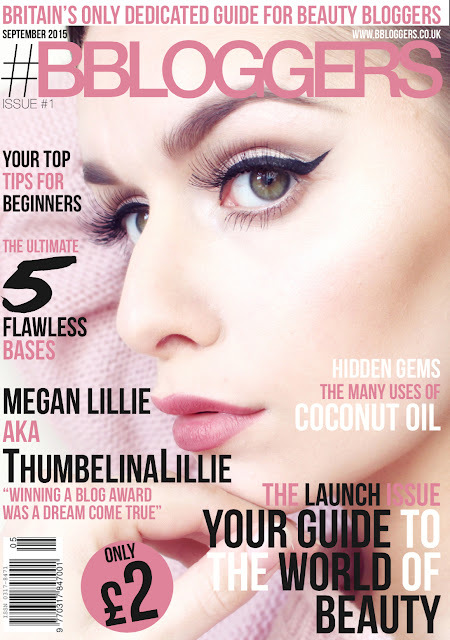 What are your favourite Make-Up Revolution Products?